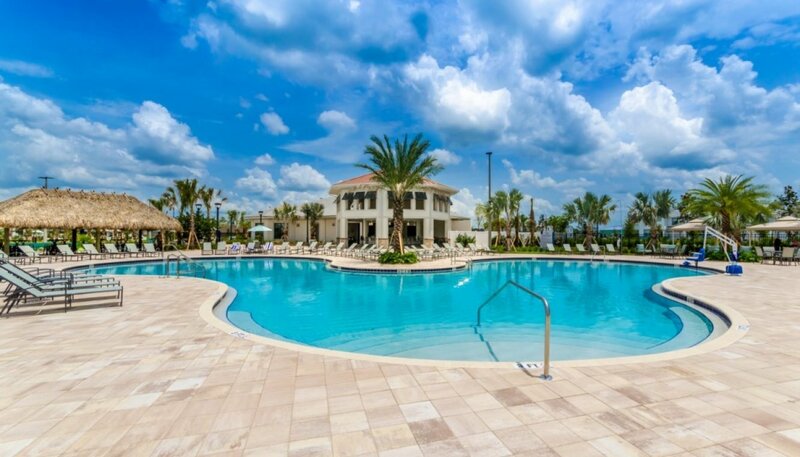 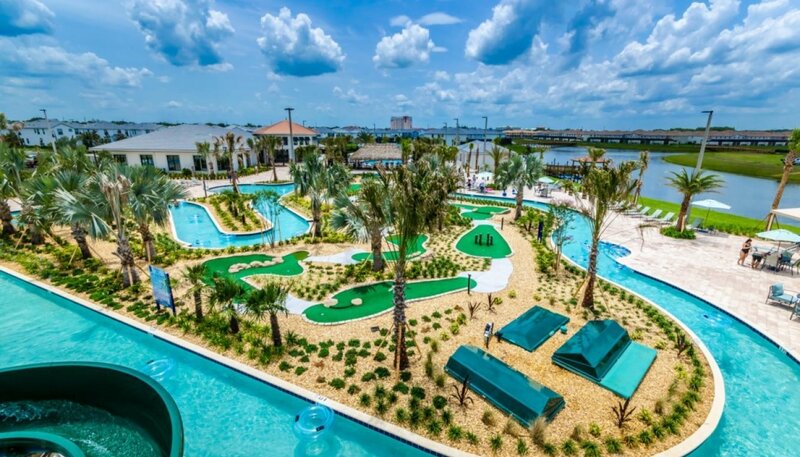 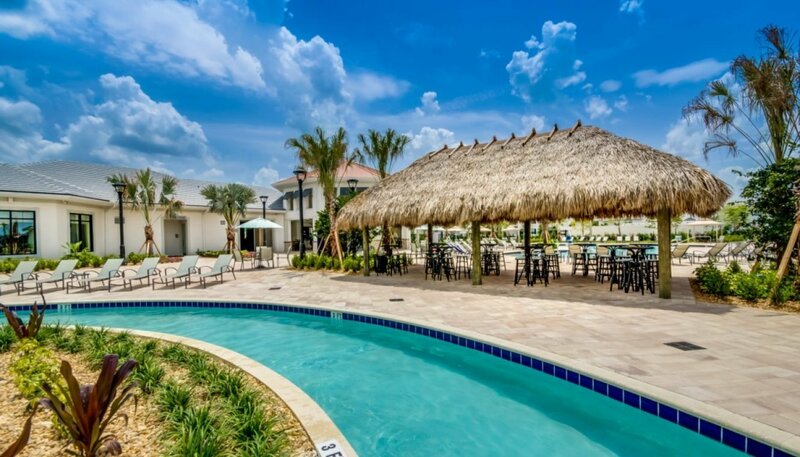 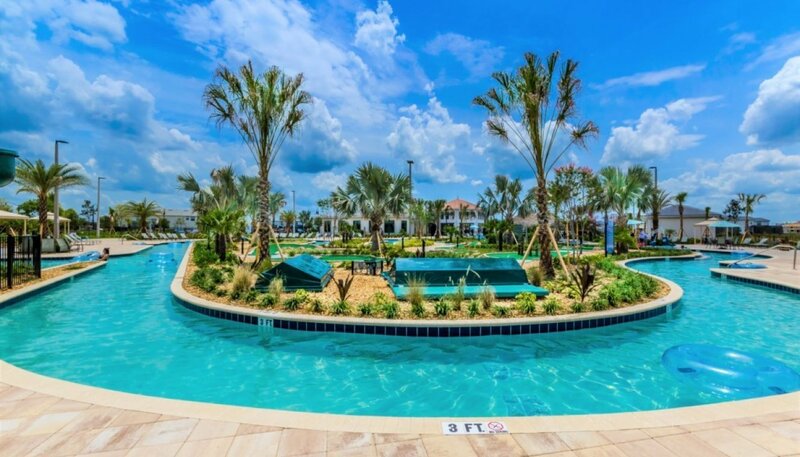 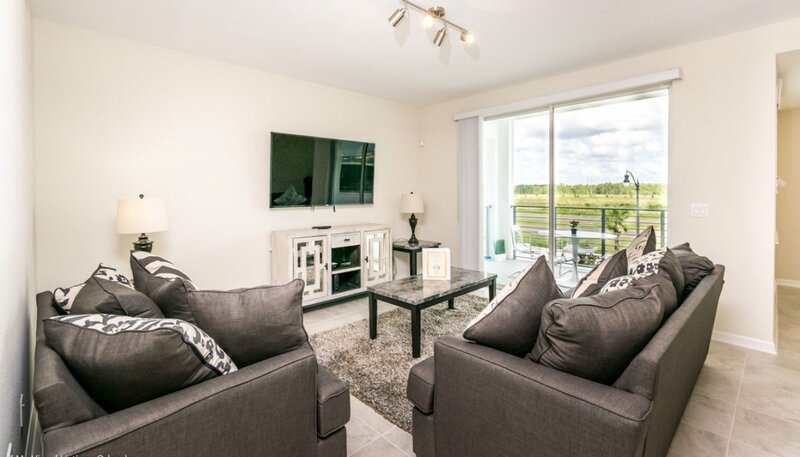 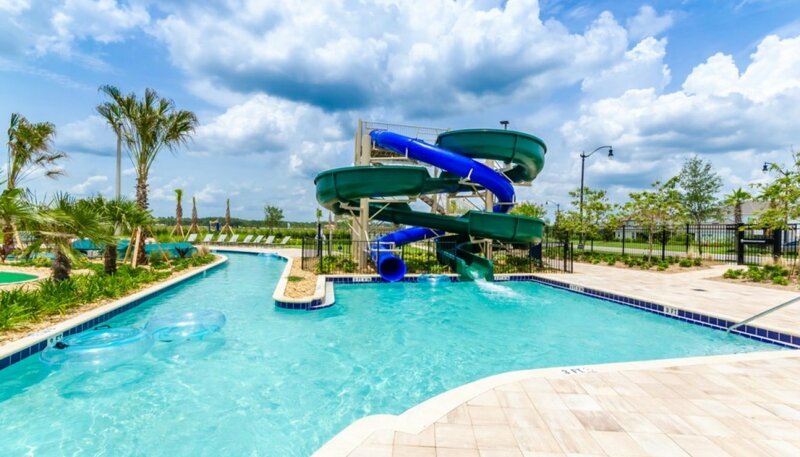 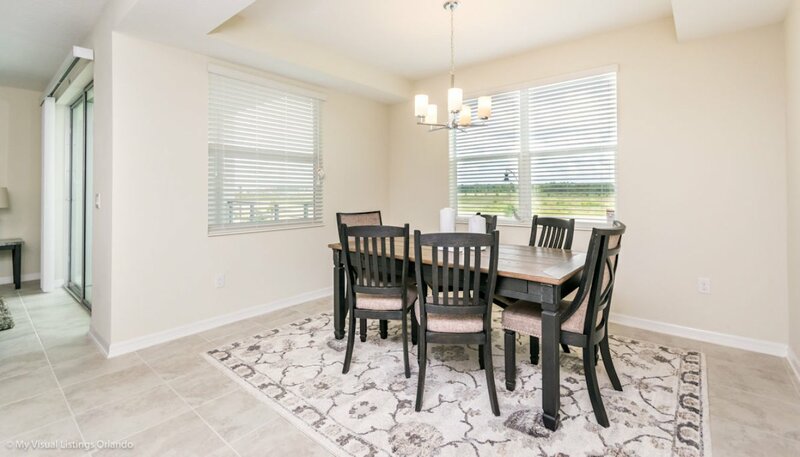 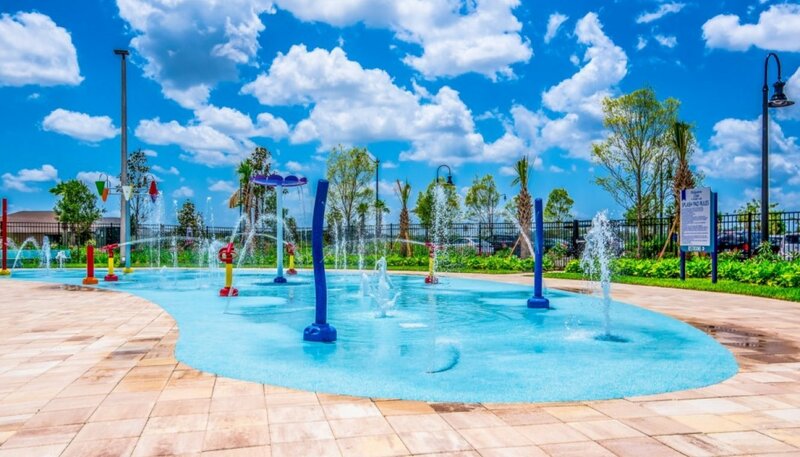 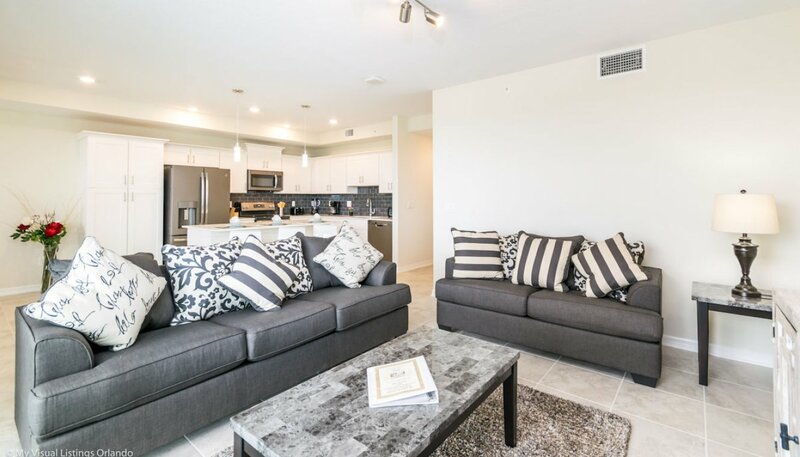 This luxurious second floor 2 bedroom, 2 bathroom vacation condo in the stunning new community of Storey Lake Resort featuring a private balcony with attractive open views and beautiful furnishings throughout. 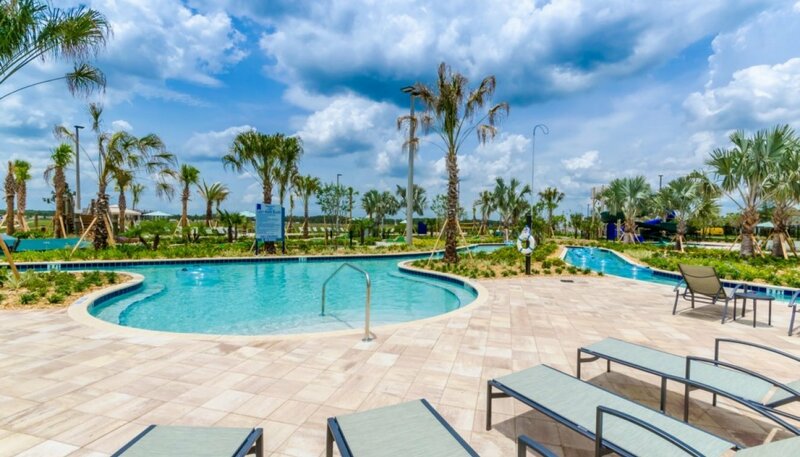 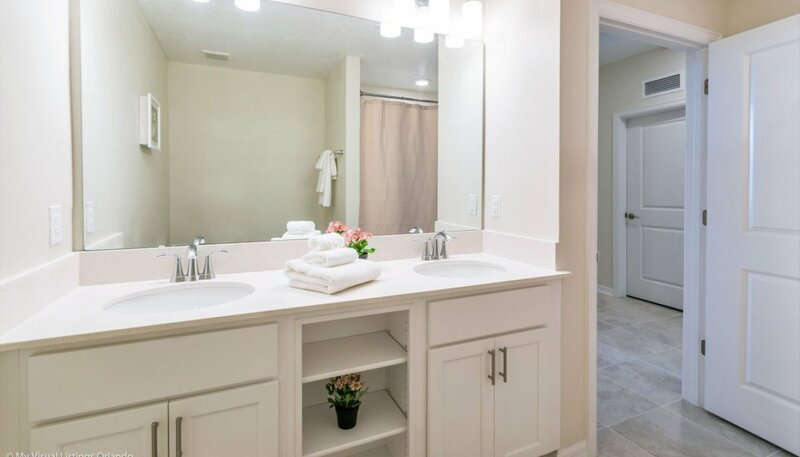 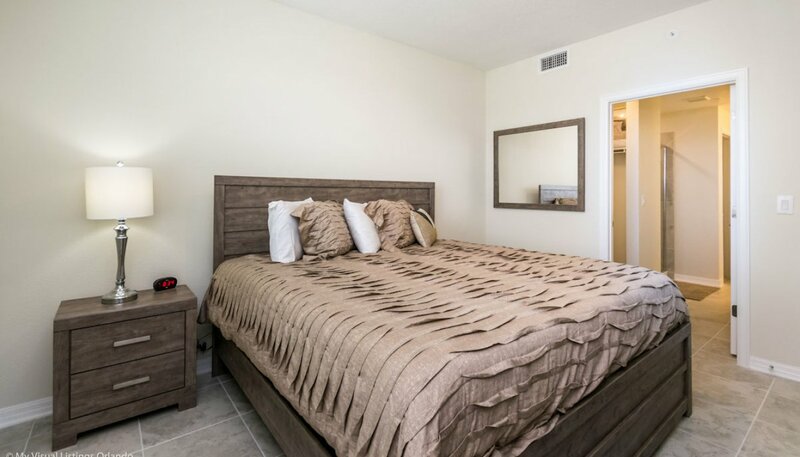 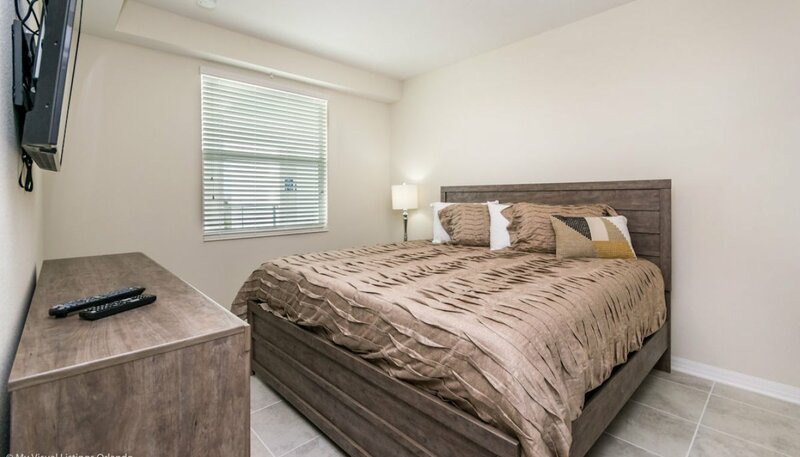 Luxuries include white granite countertops, large LCD TV in great room, LCD cable TV's in both bedrooms, wireless high-speed internet access and fully air-conditioned throughout. 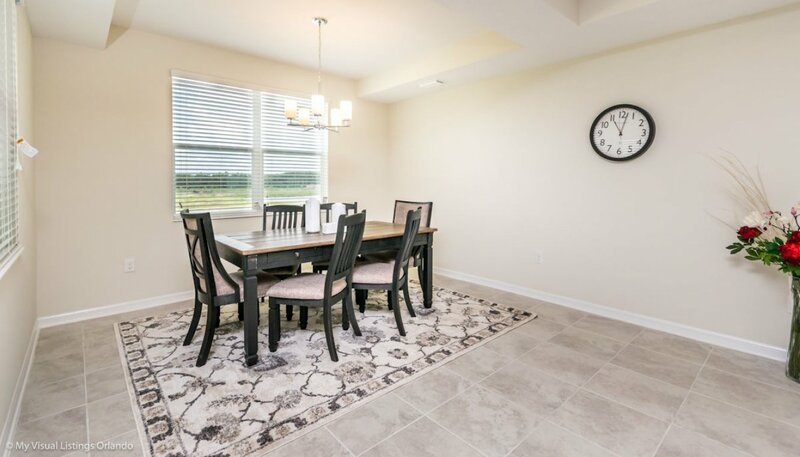 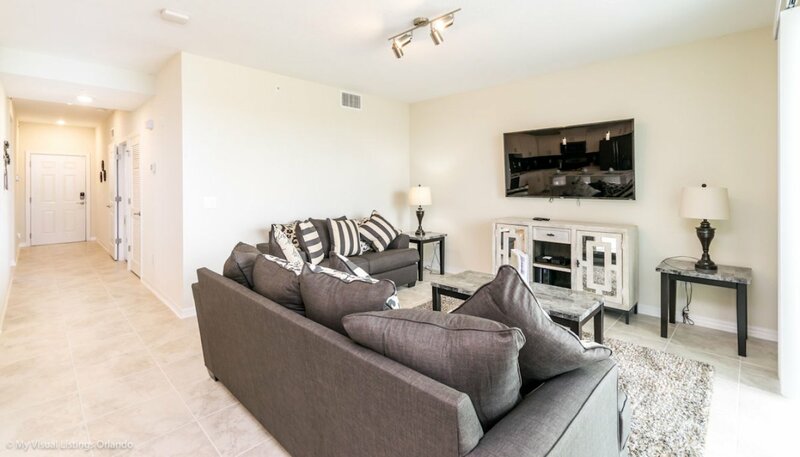 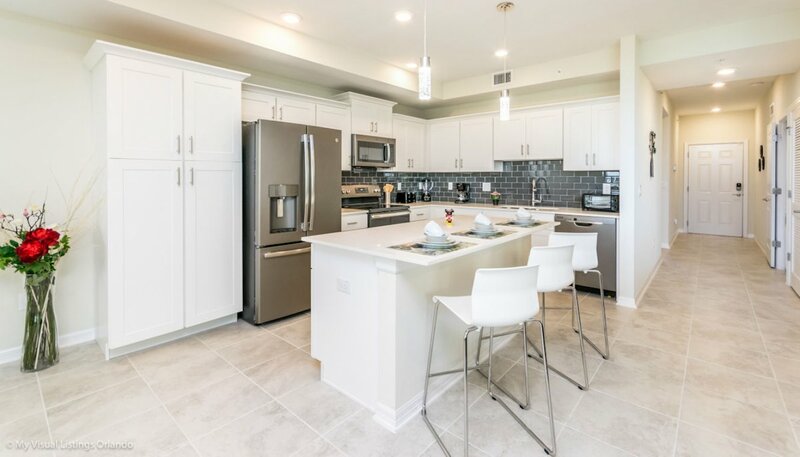 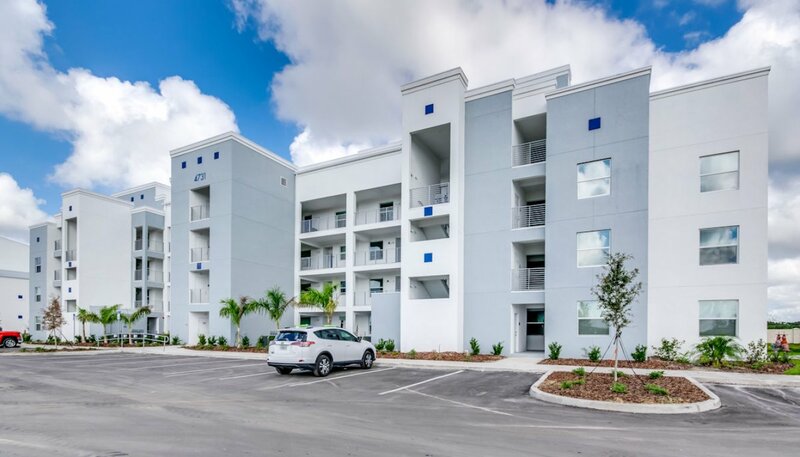 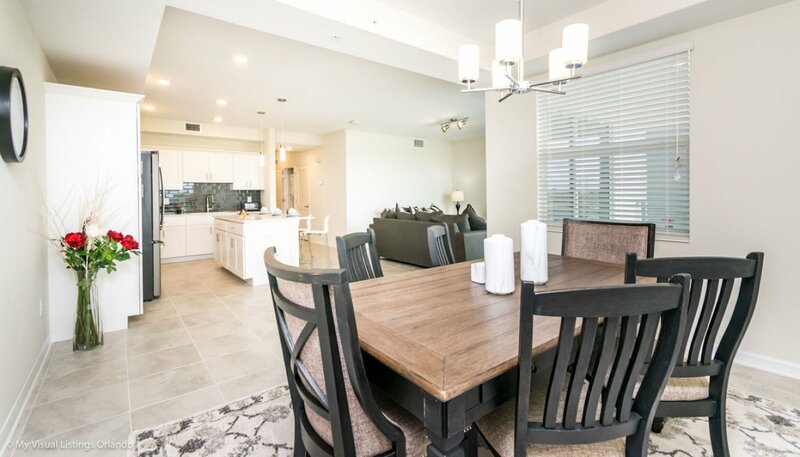 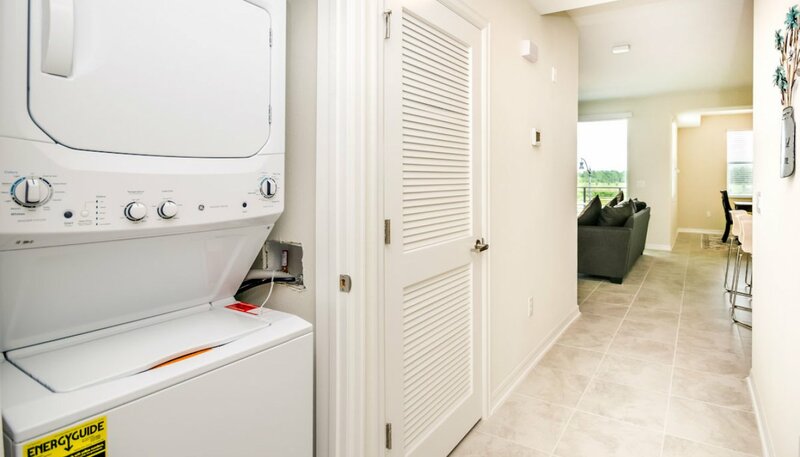 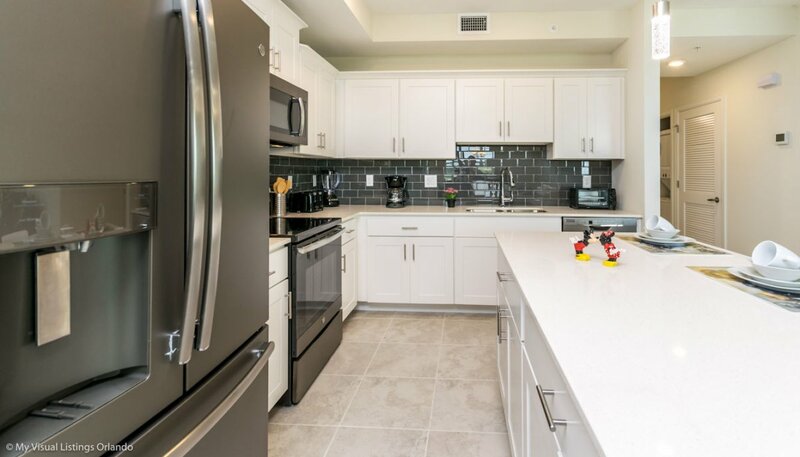 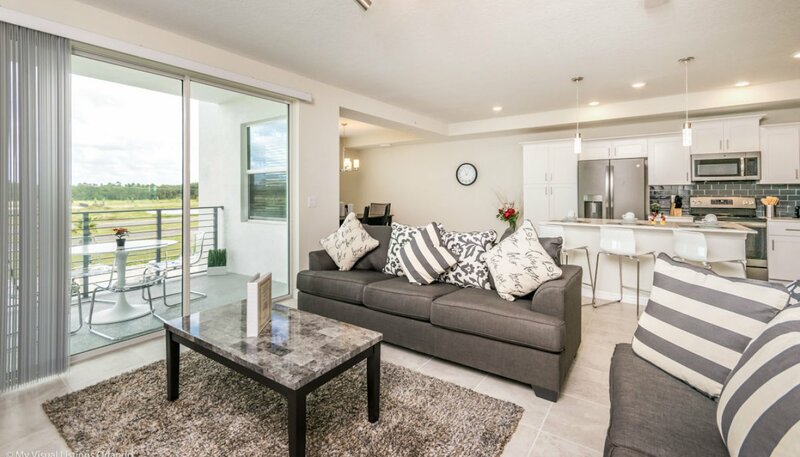 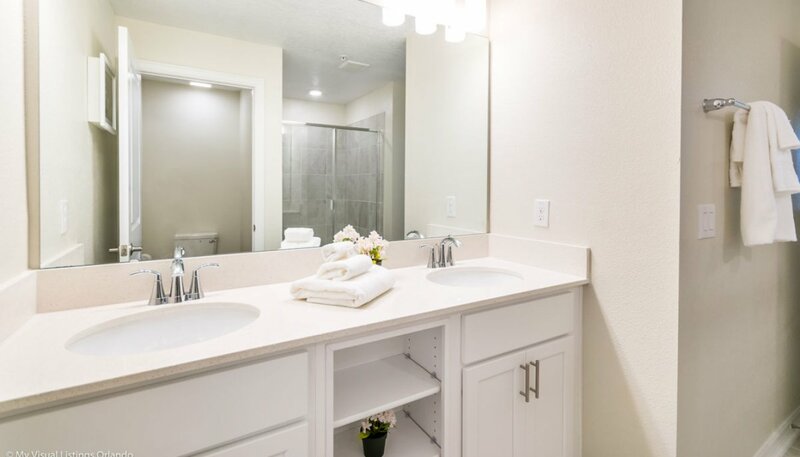 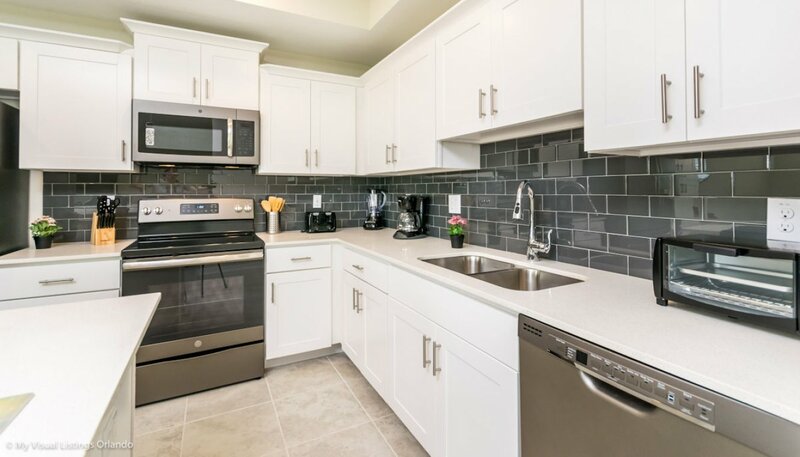 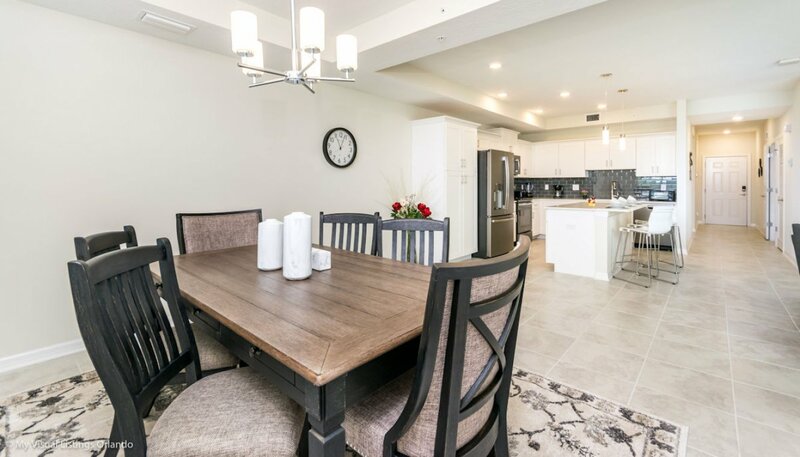 As you enter our condo you find the luxury kitchen with white granite countertops & quality stainless steel appliances which include a dishwasher, stove with oven, microwave, refrigerator & freezer with automatic water and ice dispenser, waste disposal, coffee maker, & toaster. 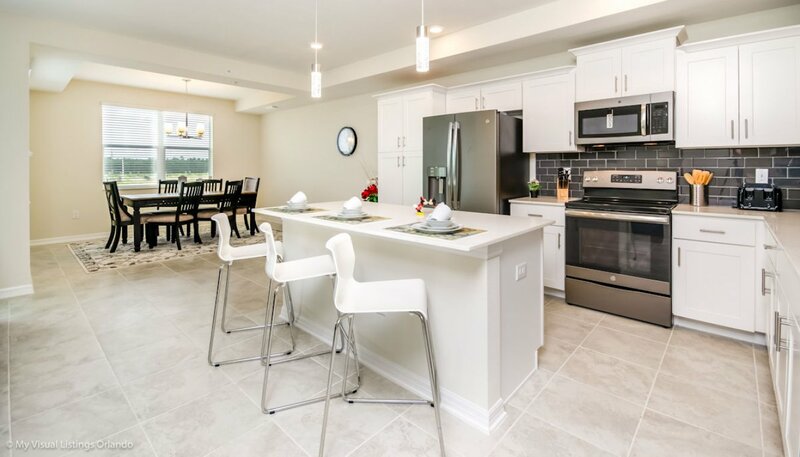 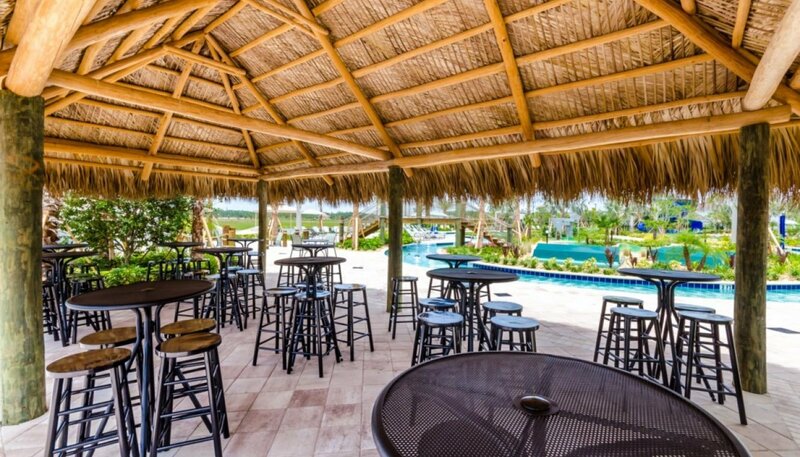 The island unit breakfast bar provides seating for 3 on bar stools. 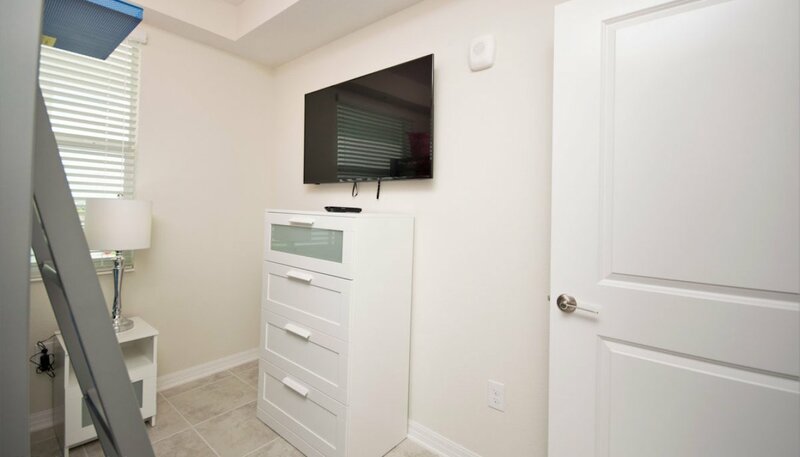 The comfortably furnished room with direct access & views to the balcony offers ample seating for you to relax and watch the large wall mounted LCD cable TV. 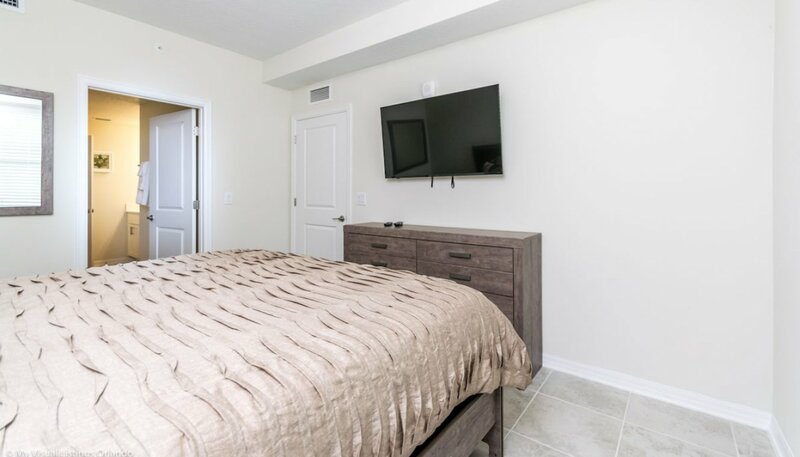 The master bedroom has been furnished with a king-sized bed, matching nightstand, chest of drawers and wall mounted LCD cable TV. 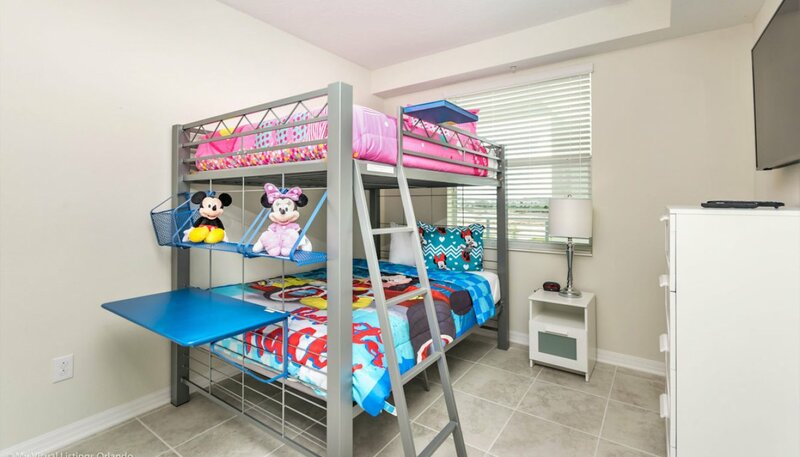 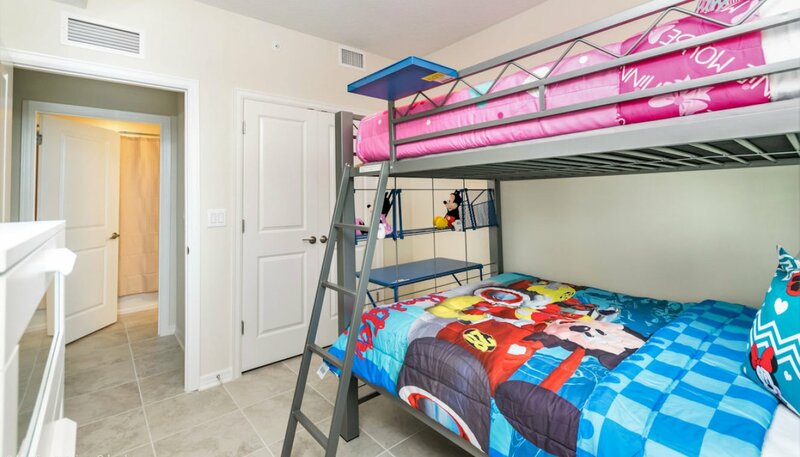 This bedroom comes equipped with bunk beds (dual twin beds), chest of drawers, single nightstand, wall mounted LCD cable TV, alarm clock and large walk-in wardrobe. 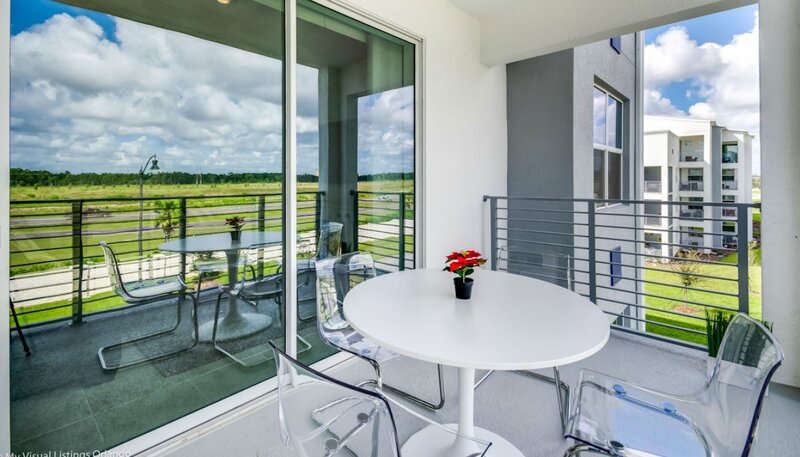 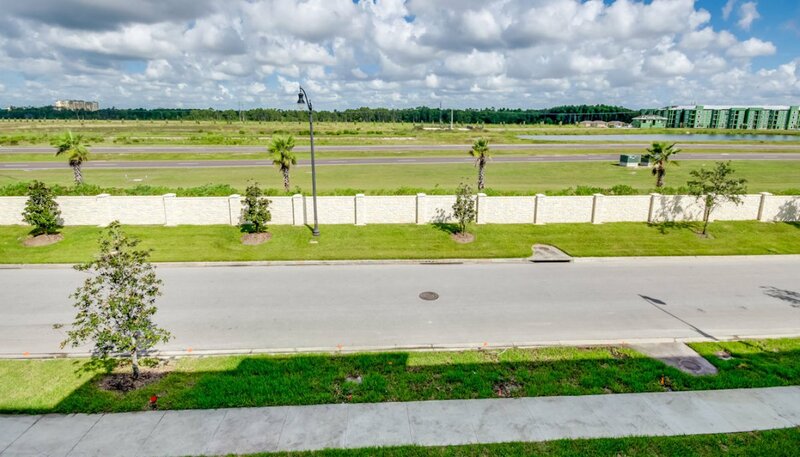 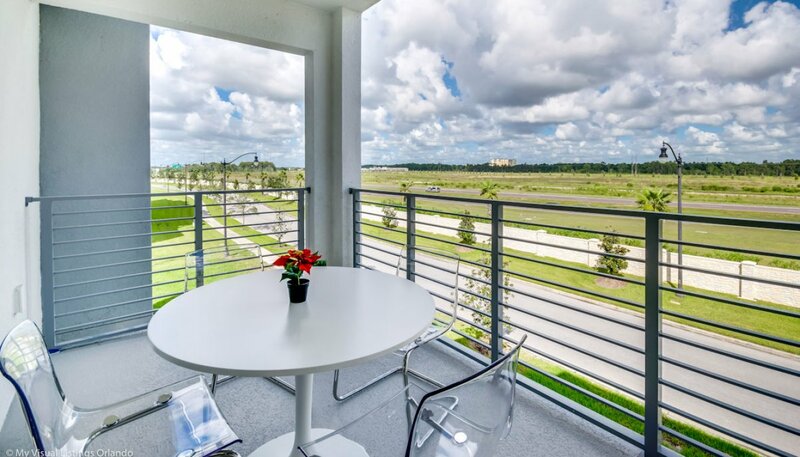 Being located on the second floor, this condo has a private balcony where you can sit and enjoy the vast open views. 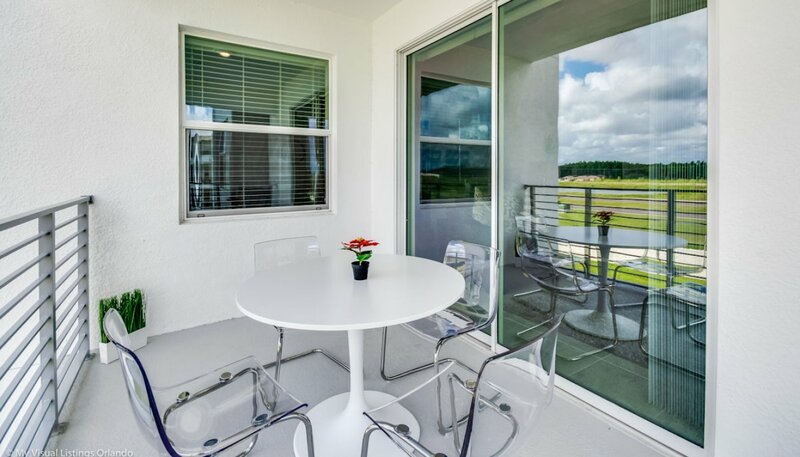 We have provided a round patio table with 4 chairs so you could also enjoy breakfast alfresco.